BLOOMINGTON, Minn. – Gustavus’s Jacob Pedersen (Fy., Minnetonka, Minn.) earned medalist honors at the 2018 MIAC Men’s Golf Championships with a three-round total of 210, the second-lowest 54-hole mark in conference tournament history. Only former Gustie Alex Kolquist has posted a lower 54-hole total at the conference meet when he registered a 207 to win in 2012. Pedersen was the only golfer in the field of 50 to finish under-par in all three rounds. 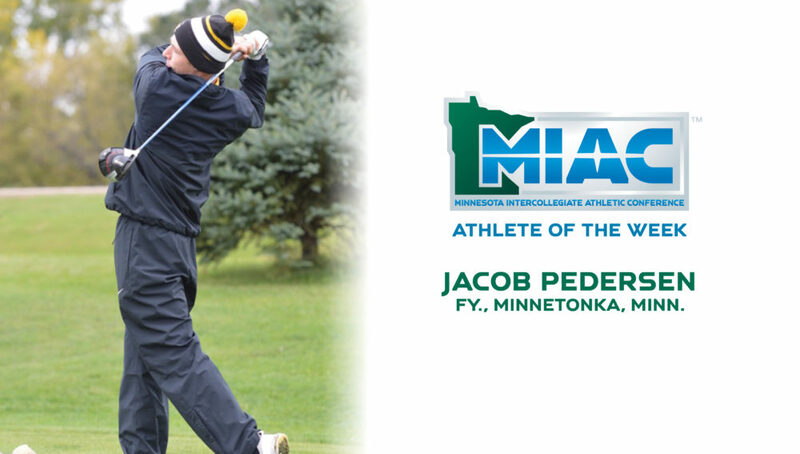 For his performance, Pedersen has been named MIAC Athlete of the Week.